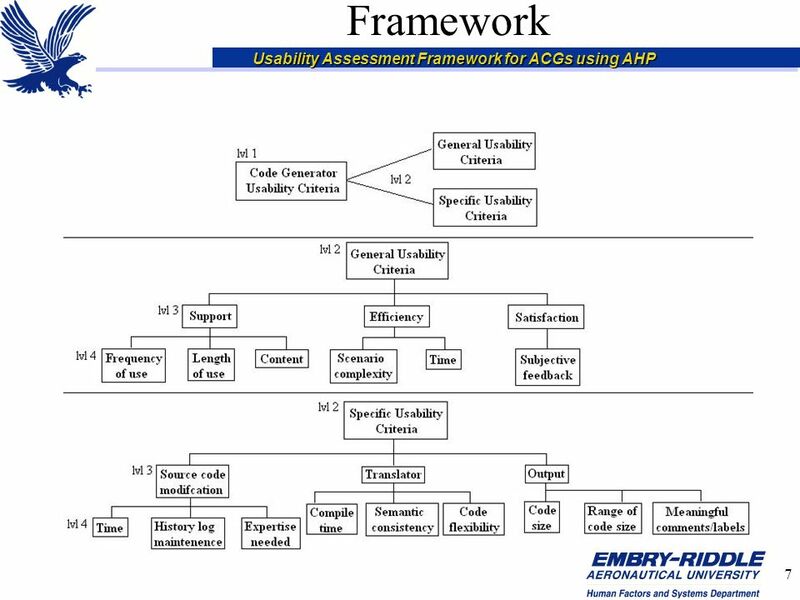 Usability Assessment Framework for ACGs using AHP USABILITY ASSESSMENT FRAMEWORK FOR CODE GENERATORS USING ANALYTICAL HIERARCHY PROCESS Joshua R. Dolecal. 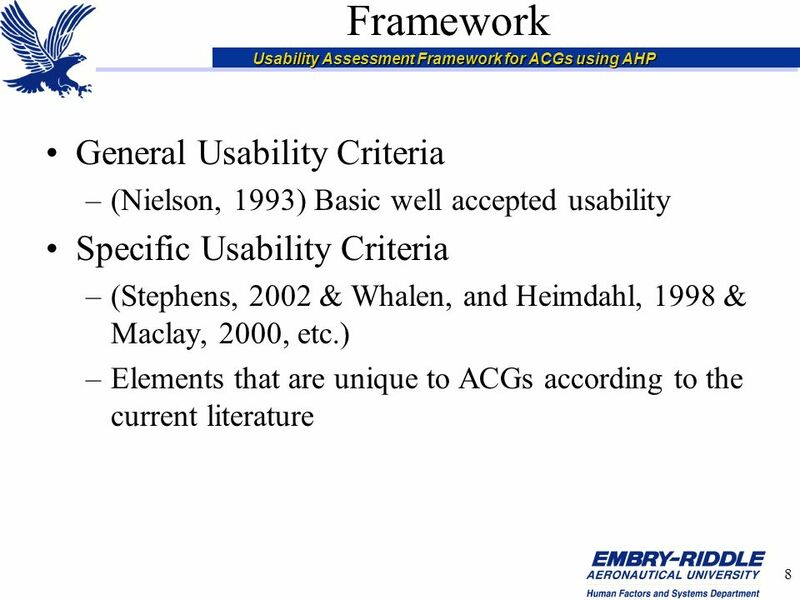 3 Usability Assessment Framework for ACGs using AHP 3 Usability Also called: Usability Engineering, Human Factors, Ergonomics, and User Centered Design. 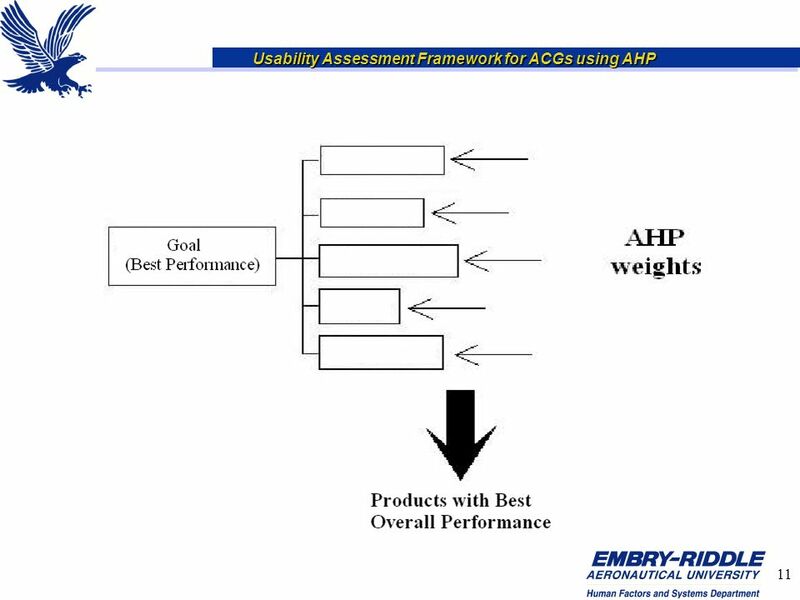 UCD is defined as the practice of designing products so that users can perform required use, operation, service, and supportive tasks with a minimum of stress and maximum of efficiency. 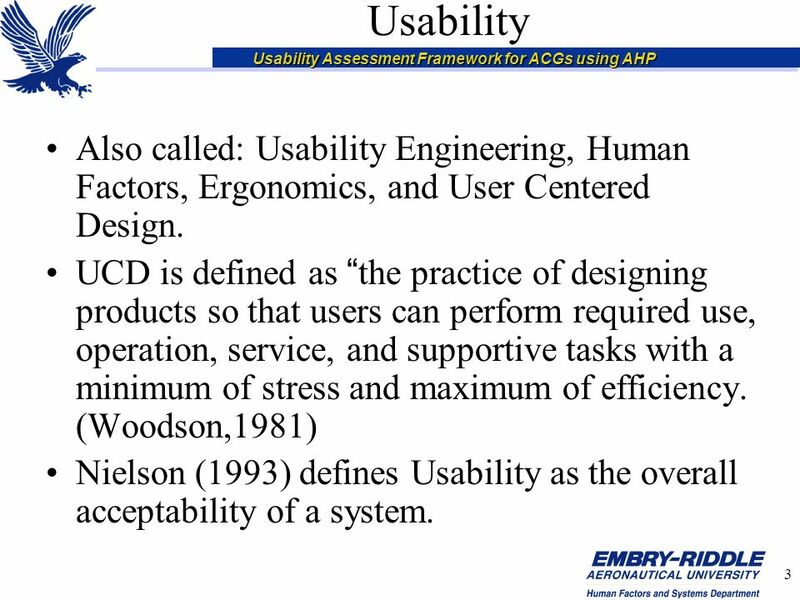 (Woodson,1981) Nielson (1993) defines Usability as the overall acceptability of a system. 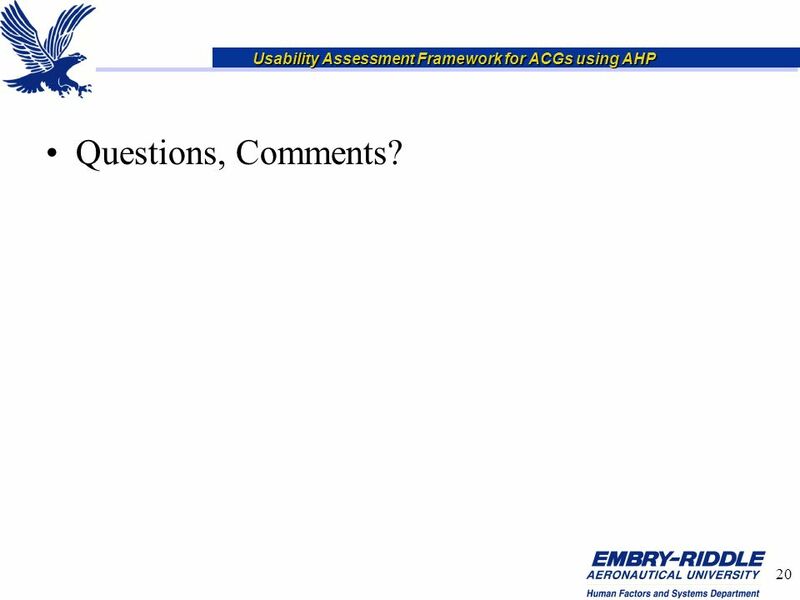 20 Usability Assessment Framework for ACGs using AHP 20 Questions, Comments? 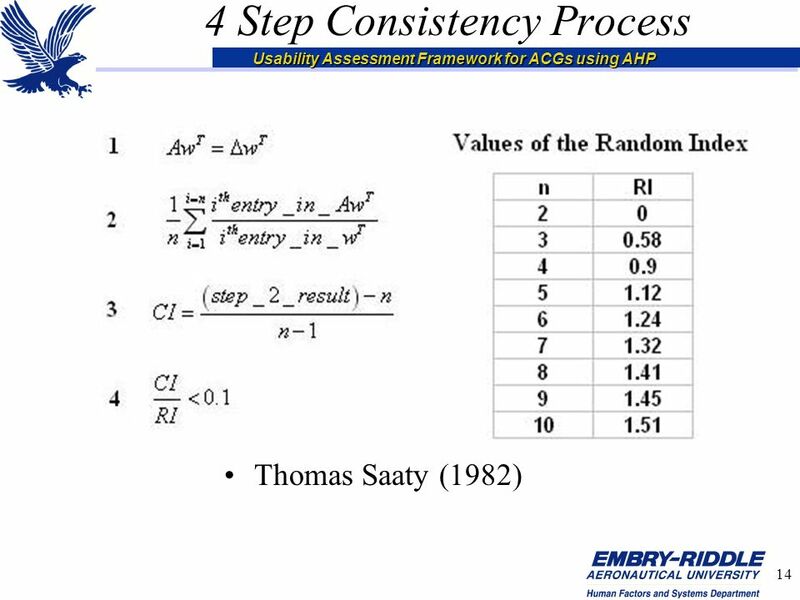 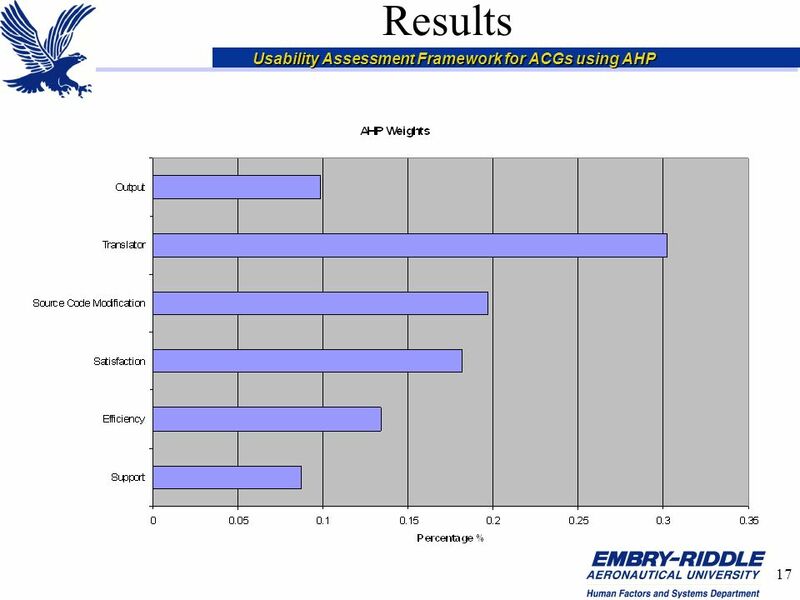 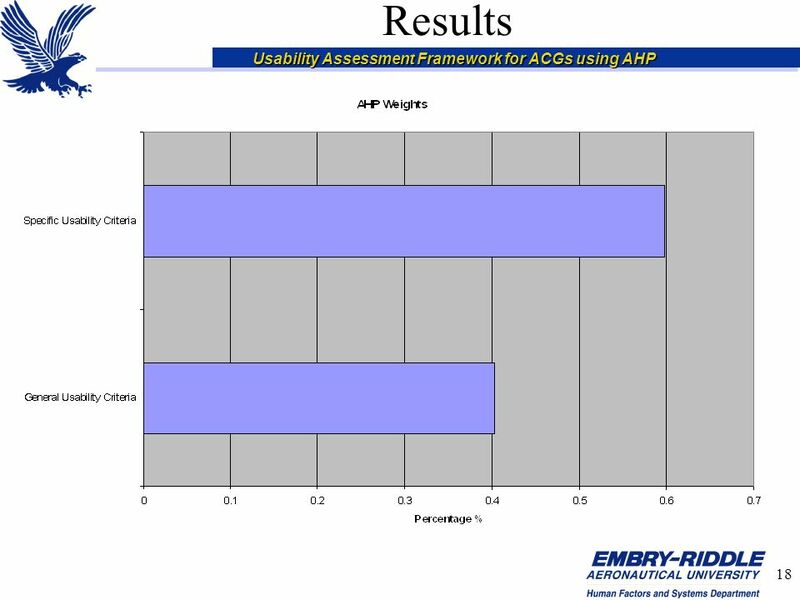 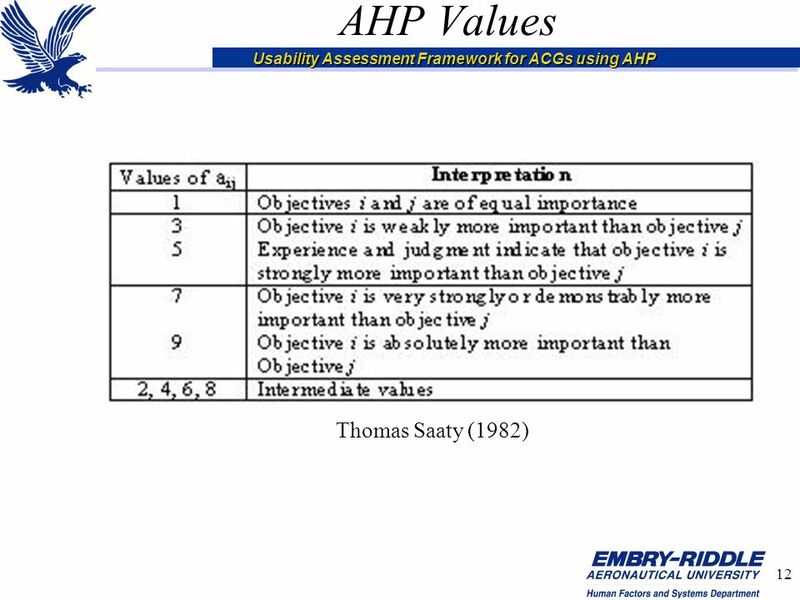 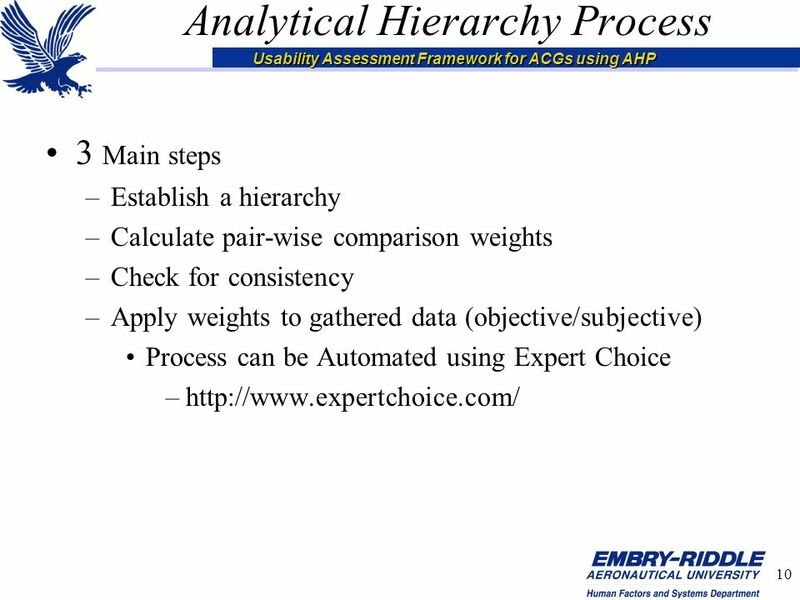 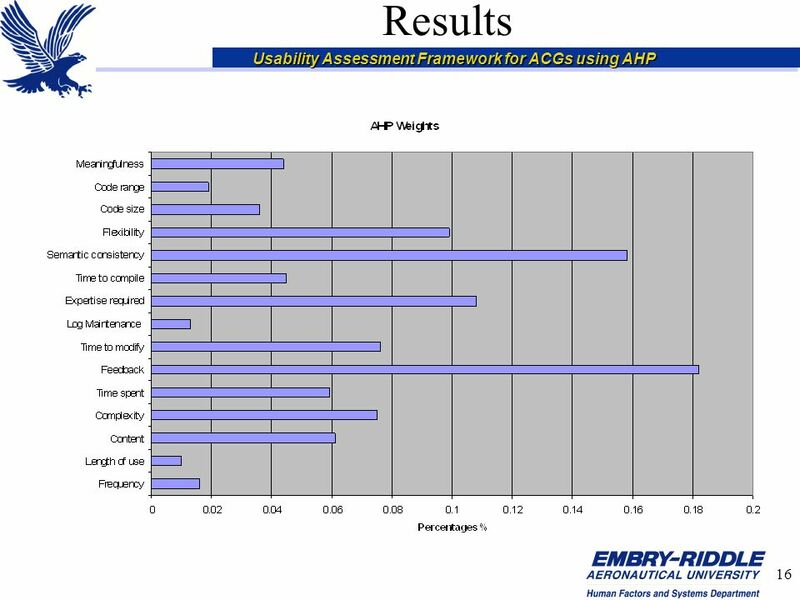 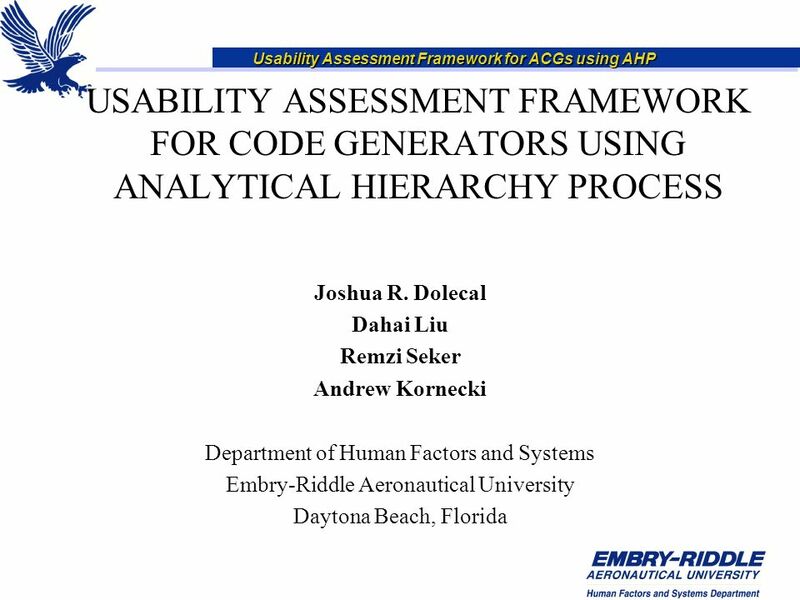 Download ppt "Usability Assessment Framework for ACGs using AHP USABILITY ASSESSMENT FRAMEWORK FOR CODE GENERATORS USING ANALYTICAL HIERARCHY PROCESS Joshua R. 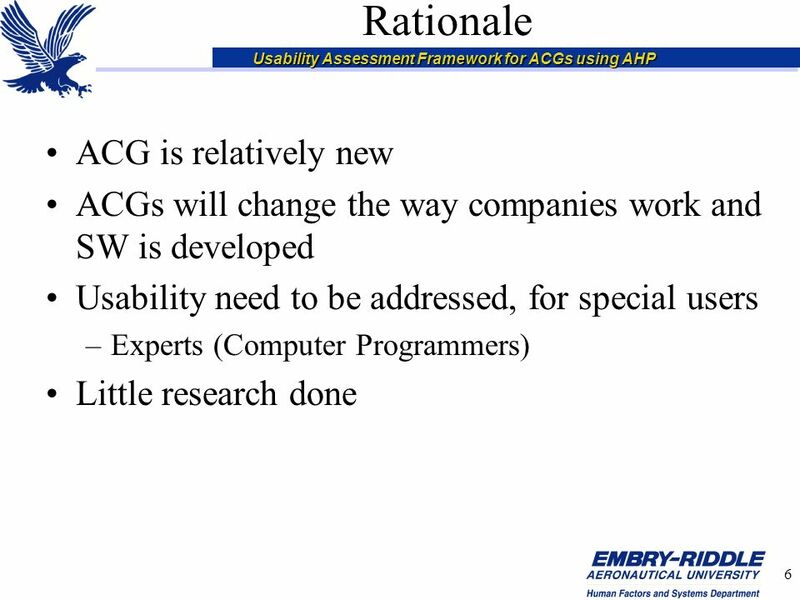 Dolecal." 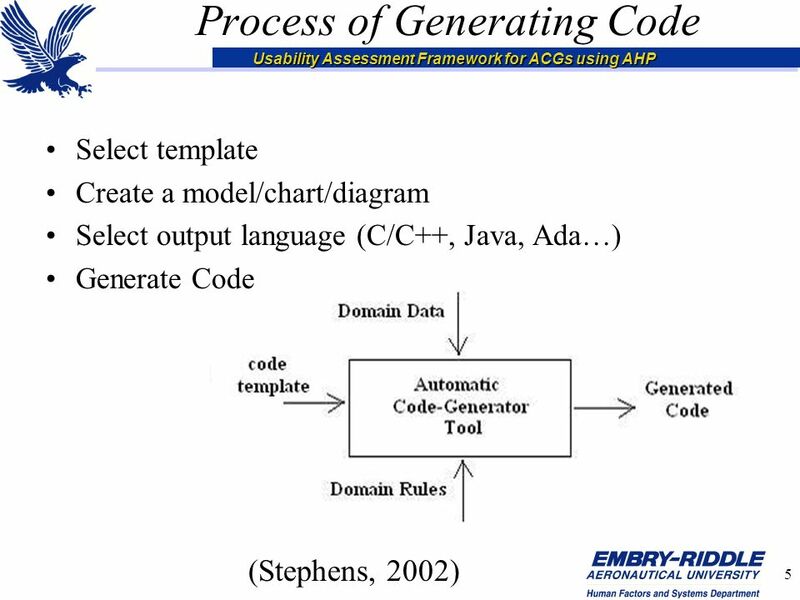 Thursday, November 1, 2001(c) 2001 Ibrahim K. El-Far. 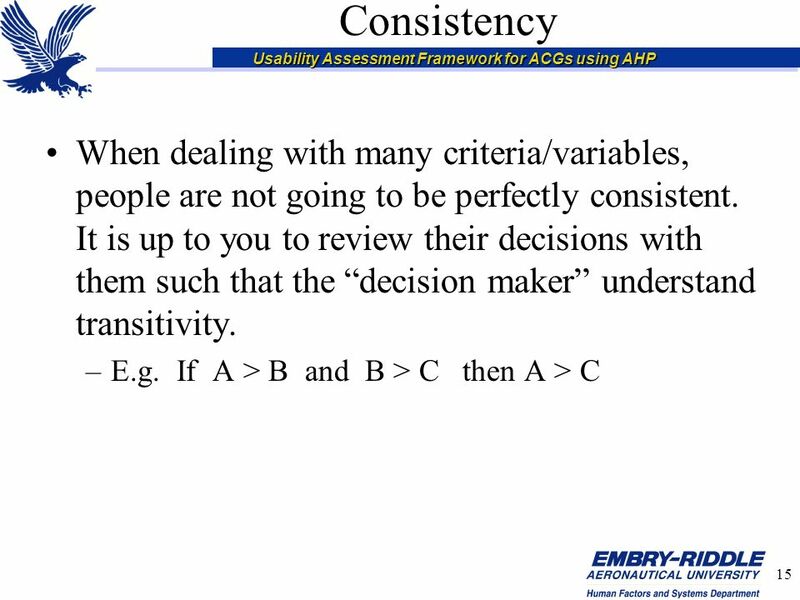 All rights reserved.1 Enjoying the Perks of Model-based Testing Ibrahim K. El-Far Florida Institute. 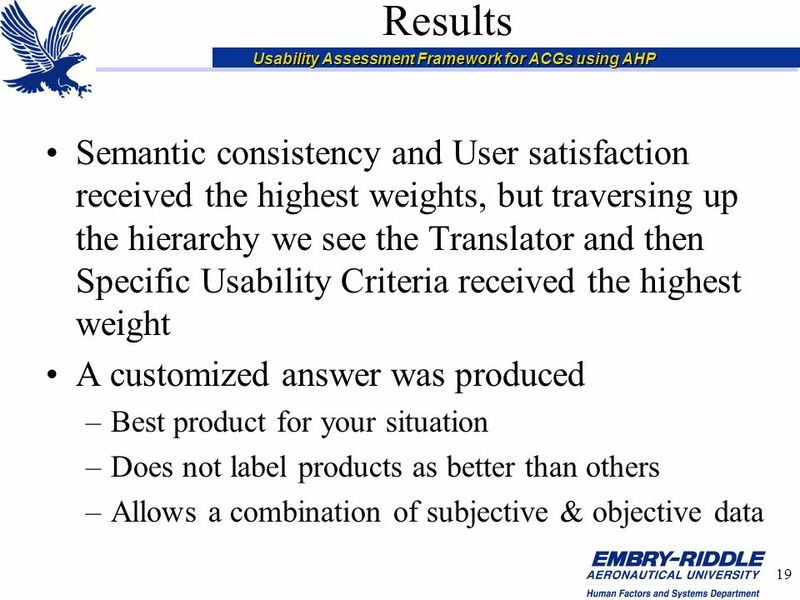 Cultural Heritage in REGional NETworks REGNET Project Meeting Content Group Part 1: Usability Testing. 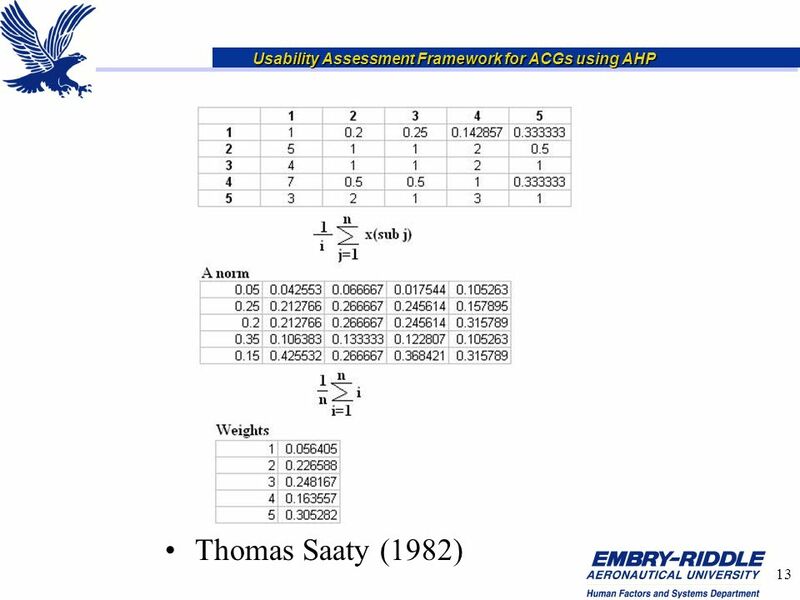 Coordinate Plane Practice The following presentation provides practice in two skillsThe following presentation provides practice in two skills –Graphing.